What’s Cool in 6? Multi Drill Through! 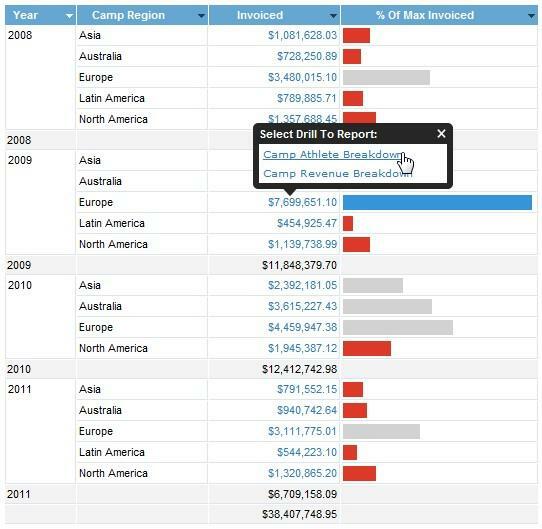 When designing drill through relationships in the past, have you ever wanted to give the consumer the option to select which report they drill to? This option has become a reality in Yellowfin 6. 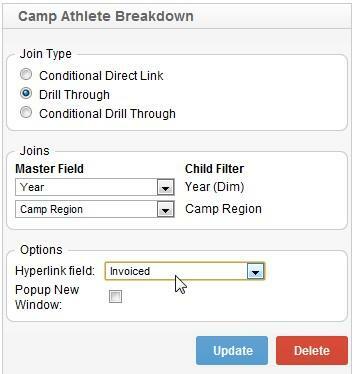 Multi Drill Through allows you, as a report writer, to design multiple drill paths from the one parent report, using a single hyperlink field. This means that when a user clicks on the drill through link they will now be provided with a list of possible detail reports to select from. When creating the drill through relationships on the Related Reports page of the builder, all you need to do is ensure the reports use the same hyperlink field. All that’s left is for the user to drill on the parent report, and select the detail report they wish to view. Easy as a pie chart!